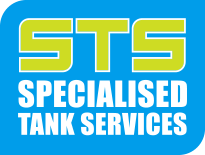 Specialised Tank Services have been a Pioneer Water Tank distributor since 1992 and service selected areas around Victoria. As Pioneer Water Tank distributors, C.E Bartlett, Aquaplate and Polymaster (poly water tanks), Specialised Tank Services offers a one stop shop that can include excavations and the supply of water tank accessories. We specialise in the supply and installation of not only Pioneer Water Tanks, we also line, repair and roof existing concrete or steel water tanks across Victoria. Interstate inquiries for commercial water tanks and liners are also welcome. We are an original Pioneer Water Tank distributor with over 25 years experience and we are confident that you will find total satisfaction and a quality solution for all of your liquid storage needs. Contact the friendly STS team today for a no obligation written proposal.